The Golden State Warriors are the defending NBA champions and are expected to make a deep run again this season. Having said that, the team isn't without their issues. They are fresh off a 127-101 loss to the Los Angeles Lakers on Christmas Day and one of their best shooters, Klay Thompson, is struggling to make shots. Thompson went 2/7 from the three-point line against the Lakers and according to ESPN, came into yesterday's game with a 33.7% success rate when it comes to three-point shooting. 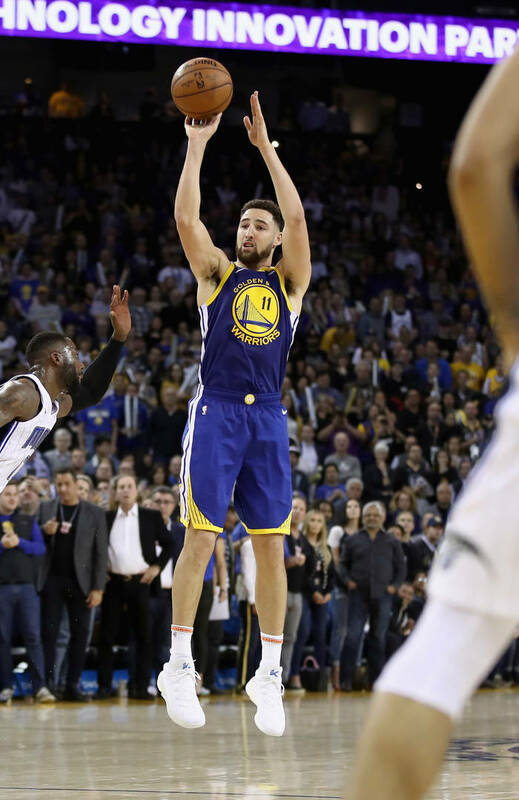 Despite the poor shooting, Klay did break the record previously held by Steph Curry for the most three-point shots made in a game with 14. He broke the record in a game back in October against the Chicago Bulls. Warriors head coach Steve Curr doesn't seem concerned about the slump though saying "I think it will turn around. I know it will turn around." Curry echoed the same sentiment telling reporters "We all can play better. It's not just Klay, we all can play better. We all could be more decisive about what we're trying to do, how we're trying to get him shots. Thompson didn't have too much to say about the slump himself offering a quick comment of "It's a long season." Do you think Klay will find his shooting touch soon and if not, are the Warriors in trouble?